~366 daily readings to give you the courage and strength you need to run the race God has set before you. If you want to experience God's presence powerfully in your life every day, you have to spend more time at His feet. It is in His presence that we are restored and empowered to fulfill our calling and to fight the good fight of faith. 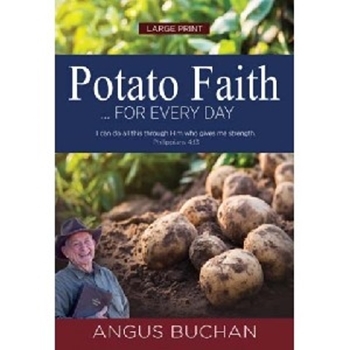 Potato Faith for Every Day is a 366-day devotional from the pen and the heart of the widely loved evangelist Angus Buchan. You will find encouragement and strength to run the race God has set before you with themes like proclaiming the Gospel of Jesus Christ, strength in His presence, inner peace, trust in God's unfailing love, the power of prayer and family values.